Do you work for PostgreSQL? Postgres is a powerful database manager to handle large amounts of data, it is fast, easy to install and with a very intuitive graphical interface, I am a web application developer and it has been an important key for my knowledge about base managers. data many times I have to design models and this has been a great help for the successful development of my applications. Learning about PostgreSQL? We can help. I have been working from last one year with different database , I realized that PostgreSQL is best database for back end. It is very developer friendly database, we can import and export the database as csv file from database and to database. It is most compatible with python and other language. It provide the facility to make a backup of database. Developer can add row and column directly in table of database and see schema as well as get ER diagram for model. It does not have data type of blob , just because of this some times developer faces the problem to store the images in blob format. I can say only one thing , just use once then I don't think you will go for other database. We have developed an application which is used for video calling , messaging and sharing file etc. As back end team we are using PostgreSQL database. I realized that it is faster than other database. Most powerful feature of PostgreSQL is data type like json. "Database manager very powerful and the best thing is that it is free!" The main hosting providers do not support database of this management system. The big corporations still have resistance for the use of this manager. The support is provided by the developer community, which produces long periods of time to resolve. It does not have an error identification and traceability mechanism. In countries where the use of free technologies is encouraged, great benefits can be obtained because there are no additional payments for user licenses and the client owns the generated code, which allows its administration and modification without inconvenience. Free database manager, with only download and install you can have the world of databases in full, with the best options of any proprietary driver, it is easy to install especially in free operating systems, it is ideal for database relational data, in terms of support, the best ally is the community of people who help others through forums, it is compatible with several graphic tools if they do not like to use the console, configuring a cluster is super simple and on the Internet the information works wonderfully with large databases. Postgres is a powerful database manager to manage large amounts of data, it is fast, easy to install and with a very intuitive graphical interface, I am a web application developer and it has been an important key for my knowledge about base managers. data many times I have to design models and this has been a great help for the successful development of my applications. handling large amounts of data for reports basically. Clustering -- we'd love to see clustering built into the product itself instead of third-party.One drawback that I have personally experienced is that it is a bit harder to get community support or to Google for results. However, with more use of PostgresSQL the community support is getting better. 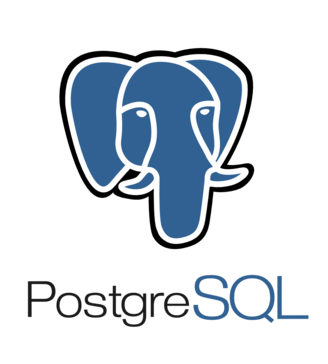 Postgre SQL is well suited well in a POC and quick turn around time development activities.PostgreSQL also seems to be user friendly to non-DBAs. "The definitive DB you need"
- Its free and open Source! - The absence of the possibility of the clustering is essential for us, and we must therefore rely on a third part software. It's one of the best DB that you can find! We doing Web-based product and we used it for storage and DB purpose. It is used by our entire organization and is well-integrated iwth our business process. With it we have reduced costs due to licensed sotfware, and speeded up the development in general. We find in PostgreSQL everything we need! "PostgreSQL is great for database management!" PostgreSQL allows us to easily run queries and cross-reference information from various tables of data we have stored. As a subscription-based service with millions of user emails and information, this is extremely important. While simple for someone who knows SQL there is a learning curve. It would be amazing if PostgreSQL allowed for easy implementation of a UI that was friendly to those who are not familiar with the coding behind queries to run searches in order to pull information from various sources. We are able to search our information for potential abuse by users, as well as find accounts that may have been impacted by a bug in our system and mass resolve issues. More recently as we migrated billing systems some accounts had fallen through the cracks and were not billed in a few months. We were able to use PostgreSQL to write a query in order to find those accounts and bill them going forward. "why people prefer most to use post gre sql"
in postgresql people are able to have fool access of their data hence monitoring it is very easy,however monitoring the database is in real time .it also has the tools that give easy use of the software.in addition it give multiple integrations of different databases and also acquiring analysis of data is easy. although each software has its weakness but for now i could not tell any limitions ,hence if anything against the software comes across i will be able to raise the grevances required in order to rectify. "Database as you know it"
I pretty much enjoy the elastic factor in its design and implementation. Offers a huge deal with data storage and security. As compared to MySQL and other database systems, PostGresSQL stands out as the go-to database when it comes to data redundancy and better maintenance. The pricing is not bad either and cloud solutions providers offer great supports. I should know, I use them whenever I need. The setup is not that easy mostly on the Linux environment. The user has to have a better knowledge about the installation and usage before engaging on this database choice but it is worthy to spend time and energy learning. "An Open source database for small to large scale organizations for free"
The PostgreSQL server has the advantage of having the security features of a paid service database, and the features of an open source database such as contact support, strong customer base which makes the service unique. There are few technical glitches while trying to login using PostgreSQL server, because of this issue I had to uninstall the application multiple times to login into the server. It also has a problem regarding the duplication and restoring the database. This PostgreSQL server is advantageous for performing the data analysis directly from the database, this product has a good security feature with a very inexpensive price for the customers. This is what makes the PostgreSQL server advantageous. I have used the PostgreSQL server to store the data required for performing the data analysis. The advantage of using SQL server is I can automate the data wrangling and ingestion process by connecting through the application programming interface using python for PostgreSQL (psycopg2) package. Database with excellent features to store data, integration with many applications developed in different languages ​​of application development, compatibility with Windows operating systems, Linux, etc. Ease of integration with ETL solutions, to store data warehouses to interact with business intelligence software, allows replication of data with streamig replication, the availability of operational continuity through the implementation of pgpool, binaries to perform backup and recovery processes , implementation of WAL, possibility of executing auto vacuum to keep the objects of the database clean, version updates of the postgresql SMBD, are easy and applications are not affected. Before the implementation of postgregar in your infrastructure, make a test plan for the compatibility of the applications developed, perform a intonation postgresql of SMBD, so that the performance of the work is adjusted to the servers where it is installed. Implement a backup and backup plan, install a good software to monitor the performance of the database, I recommend NAGIOS as software for monitoring, from my own experience I recommend installing the postgresql SMBD under the Debian operating system, and verify the configuration files to customize the parameters for the best performance of the postgresql SMBD. "By far the most powerful and advanced open source database software"
The developer community behind Postgres is phenomenal. Not only do they keep the software active, they give their time speaking and teaching about the software. The speed and reliability of the software is also great. Postgres number one priority is data reliability, then speed, which causes some features like COUNT() to be slower than I'd like. While this is ideal 99% of the time, there is that 1% when I wish there was an option to configure the software to make COUNTs faster, even if it meant less reliability for that qeury's result. Setup and configuration are not easy, but it's mostly system administrators and DBAs using it so that is to be expected. Admin tools, such as pg_basebackup, have improved. Postgres powers our web based software, Intervals. It's been the best choice we could have possibly made for over 11 years since we first adopted it. We have benefited most from the speed improvements and replication features. Database with brilliant highlights to store information, incorporation with numerous applications created in various dialects ​​of application advancement, similarity with Windows working frameworks, Linux, and so on. Simplicity of reconciliation with ETL arrangements, to store information stockrooms to communicate with business insight programming, permits replication of information with streamig replication, the accessibility of operational progression through the usage of pgpool, doubles to perform reinforcement and recuperation forms , execution of WAL, plausibility of executing auto vacuum to keep the objects of the database clean, variant updates of the postgresql SMBD, are simple and applications are not influenced. PostgreSQL question sentence structure for some mind boggling inquiries like array,string capacities and case administrator are isn't anything but difficult to compose . Establishment and setup of PostgreSQL isn't as simple as MySQL. Documentation isn't in the same class as MySQL and it is bit more diligently to google query items. The business issue that I am explaining with PostgreSQL was to inquiry information for further handling. I was dealing with producing keen reports with information from an Alfresco Architecture whose information dwelled in a PostgreSQL database. The advantages I watched were, it was allowed to utilize and the questions worked splendidly. The database is turning into the single wellspring of truth for every spatial datum in the association. The adaptability offered by the database has improved the proficiency of various distinctive information creation and upkeep work processes and thus we have developed the quantity of clients from 10 to 75. "Open source object-relational database management system for Web Developers"
PostgreSQL or simply Postgres implements the SQL standard very well. Postgres provides a easy to understand tool called pgAdmin to interact and manipulate database. It provides support for complex data types like Array and Json. It can handle workloads ranging from small web applications to large data warehousing with many concurrent users. It is available till 10,000 rows on Heroku. PostgreSQL query syntax for some complex queries like array,string functions and case operator are is not easy to write . Installation and configuration of PostgreSQL is not as easy as MySQL. Documentation is not as good as MySQL and it is bit harder to google search results. I recommend PostgreSQL to all web application who are looking for cost effective database. It supports almost all types of backend server like, Java, Ruby, Python etc. Postgre SQL provides high level of parallel queries. It support very useful types like array and JSON. From last one year we moved from MySQL to Postgres for database needs reason being of its support for multiple concurrent connections in affordable price. We are now using Postgres database for our new projects. I got benefit using PostgreSQL in term of price, speed, support of complex type and easy to learn query syntax. PostgresSQL is one of the most stable and functionally rich open source RDBMS. It performs really well while implementing complex queries. It is also convenient to shift your database architecture into PostgresSQL. Because of its ubiquity, you can find solutions to any issue you might face on the online community. , PostgreSQL is offering an amazing amount of functionality for any database, let alone an open-source project. And in almost every case, the current functionality is just the first part of a long-term roadmap that the developers will continue to follow. PostgreSQL's functionality in areas like Partitioning or query parallelization has been fairly weak. Also it's syntax is a wee bit different than most of the other SQL vendor languages but it's not significantly different. The business problem that I am solving with PostgreSQL was to query data for further processing. I was working on generating intelligent reports with data from an Alfresco Architecture whose data resided in a PostgreSQL database. The benefits I observed were, it was free to use and the queries functioned perfectly. Postgres is an incredibly stable database workhorse. It handles production traffic with ease, and its default settings are generally very stable and scalable. It links easily to all sorts of ETL tools and supports all major ORM libraries. Well, just like any SQL database, by default it's not vertically scalable. So once you can't upgrade your database server hardware further, you sort of hit a cap, until you put in sharding logic. "PostgreSQL - the heart of our GIS"
PostgreSQL with PostGIS and pgRouting offers us a flexible, robust and reliable open source database platform on which to build the rest of our GIS infrastructure. The open source license gives us the freedom to install and use it as we like. If I had my way I would switch out all our other RDBMS for PostgreSQL. PostgreSQL offers a solid database platform on which to build applications for organisations not willing to pay large annual maintenance fees. It scales well from small single use applications to large clustered enterprise-wide systems. The open source license lets you install as many instances as you need for free. The open source, standards compliant database allows you complete flexibility in designing the database and any applications it underpins. PostGIS and pgRouting are database extensions that add greatly to the capabilities of the product and are core to our GIS infrastructure. Documentation for the product is second to none and the user community is excellent. If you so wish, support contracts are available from a number of suppliers in the UK and internationally. PostgreSQL is also available from many cloud service suppliers and runs on all major operating systems. PostgreSQL replaced Oracle at the heart of our GIS infrastructure. We have saved money on software licenses, reskilled a number of people in database administration and reduced the number of files stored in directories to almost zero by putting the data in the database. The database is becoming the single source of truth for all spatial data in the organisation. The flexibility offered by the database has improved the efficiency of a number of different data creation and maintenance workflows and as a result we have grown the number of users from 10 to 75. …not so great as an ODM, as is true of any relational database. If you are storing data as an object/document, you should consider Mongo or something along those lines. Deep Security has been tested with these PostgreSQL 9.6 distributions: PostgreSQL Core Distribution and Amazon RDS for PostgreSQL. The Deep Security Manager installer will check that you have a supported database installed. However, there is no ongoing monitoring of the database version, so if you decide to upgrade your database after installing Deep Security Manager, you must ensure that you upgrade to a version that is supported by the manager. "Flexible and fastest Data base for higher scale projects"
Postgres data base is light weighted and flexible data base.Recently we have migrated to Postgres and its really easy to develop and maintain.Since it is open source we got advantage to spend money on cloud services to maintain independently.This data base has lot features and we can use for large scale applications. Some of the common SQL language syntax can be maintained without customizations.Some time we feel difficulty to find syntax in online.Otherwise, this DB is better than other open source DB tools.Some times we found some bugs which is related to tags and queries, especially libraries can be improved and documentation can be provided in detail level. Strongly recommended DB for any open source ideas. We are able to reduce cost by migrating to open source Db. We are able to separate all functions and views without any extra efforts while migrating. These DB helped us to reduce overall cost in Cloud as well, on top of all advantages, query language is very simple. Well, over time MySQL and PostgreSQL have grown closer and closer together, but for the longest time I've enjoyed using postgres over other free open source RDMBS because it had more analytical functions. Postgres has been supporting tricky things like window functions which was always super useful for tricky aggregations for reports. However, what I like best about postgres is probably the actual documentation that is easily available that includes tons of explanations and examples. This means I can quickly make changes and figure out how to make my application needs work just by myself, even if I've never had to use Postgres or another RDMBS to do that task before. I can't say I dislike anything about postgres. The things that are 'bad' about postgres are what you get for having a relational database that uses hard disk as storage. But those are normal things that honestly don't usually slow you down or hurt your application. Sometimes I'll use redis for a fast, non-relational in-memory database, but otherwise I always use postgres since it's free, documented well, and a great tool. These days you can drop in replace for MySQL pretty much, but I prefer postgres for the great documentation. Well, I simply use postgres to save data in one place like any database. Postgres is a great open source relational database system so it helps keep your data in one place and normalized. I will often setup mini web apps for my company's other teams to quickly pull/aggregate data and reports, and postgres is great for that. I wish that the ltree implementation supported dashes so full uuids could be used. Otherwise there isn't really that much to complain about, better support for built in under the hood horizontal sharding would be nice but that would be hugely complicated and probably wouldn't work. Give it a chance, the cost of learning is worth the power it affords. Our data storage for our whole app is in postgres. This is an amazing database! Not only is it reliable but It has great features that make it easy to store data and use multiple languages. It's easy to customize and I love that it is compatible with Linux as that is what I primarily use. Also, it is great that there is a community still involved in this software who are able to teach new (or even experienced) people using PostgreSQL. I've had some issues with PostgreSQL running a little slow and I'm not a huge fan of all of the syntax, as some of it seems a bit counterintuitive. As a result, I think it is pretty difficult to use as a beginner. As an intern, I primarily used PostgreSQL to manage simple tasks under some guidance. However, even in that role I could tell that it is a very powerful database with a lot of benefits to someone who knows how to use it. "Simple and easy to use"
I like how simple this software is. It doesn't try to get you with a fancy UI or anything crazy intricate. it's straight forward and it is easy to use for anyone who has SQL experience. Whether in the classroom or at the workplace, it's a really great program for database work. It's user friendly in the sense that is is basic and easy. It may not have all the bells and whistles of other software but that's kind of what I like about it. The output pane when doing queries is nice and simple to read. it's easy to make sure you can see all of the data you need to see in your databases. I also like that the SQL editor gives you color differences on the words so you know that you are entering the correct information. It will come up red if it thinks something is wrong. It's hard to tell sometimes which DB on your server you are in, as it doesn't highlight it very well. It also is somewhat annoying to have to open a separate screen for actually running SQL. We are able to look up information quickly when a user needs to know about data that we can only find within the database. It's great for when we are looking into defects and also for writing automation tests. There are a lot of benefits. Although the speed of response may seem deficient in small databases, that speed is maintained by increasing the size of the database, which is not the case with other programs, which slow down brutally. Unlimited installation: You can not sue a company for installing it on more computers than the license allows, as there is no cost associated with the software license. This allows for a more profitable business with large scale installations, we should not worry about being audited to see if we comply with the license, and there is flexibility and development without additional licensing costs. Considerable savings in operating costs: PostgreSQL has been designed to have lower maintenance and adjustment than products of commercial suppliers, retaining all the features, stability and performance. Stability and Reliability: No database crashes. Extensible: The source code is available for free, so that whoever needs to extend or customize the program can do so without costs. Multiplatform: Available on almost any Unix, with 34 platforms in the latest stable version, plus a native version of Windows in test state. Graphic design and database management tools. It supports the SQL92 / SQL99 standard and standard type data, clauses, functions, and extended commands of PostgreSQL. It can operate on different platforms, including Linux, Windows, Unix, Solaris and MacOS X. Good security system through the management of users, groups of users and passwords. Good scalability as it is able to adjust to the number of CPUs and the amount of memory available optimally, supporting a greater number of concurrent requests to the database correctly. Compared to MySQL it is slower in insertions and updates because it has intersection headers that does not have MySQL. Online support: There are official forums, but there is no obligatory help. Consume more resources than MySQL. The syntax of some of your commands or statements is not at all intuitive. Multiversion concurrency control; the MVCC; this method adds an image of the state of the database to each transaction. This allows transactions to be made consistently, offering great performance advantages. For example, it is not necessary to use read locks when performing a transaction, which provides greater scalability. thus solving scalability problems. The greenplum database running PostgreSQL is a good database for large workloads that run on massively parallel databases like Greenplum. I can distribute the tables by a certain column identifier and be able to link different tables together for efficient workloads. I dislike the PGAdmin III interface which is made for PostgreSQL developers because it's an old program and the new one, PGAdmin 4 does not support older versions of PostgreSQL databases. Version compatibility is a big deal and my company still uses the older version of PostgreSQL so I am stuck with using an older version of the application to manage the database. For companies considering PostgreSQL, you need to seriously consider the backend provider whether it be Greenplum/Pivotal or Amazon, you must make the proper selection that will be sufficient for the data that you are working with. With Amazon Web Services, it becomes price efficient to run these databases in the cloud at a reasonable cost with great efficiency. PostgreSQL has been able to help us conduct data quality operations and archive data in an efficient manner. Open-source relational database management system and easier to handle and simple database architecture compare to other database base engine. It also supports NoSQL features. It's also easier to implement clustering and replication of the database, and migration to the cloud. PostgreSQL has been developed for a long time, so it probably has the most functionality in the database market. It is open-source, so its development will keep growing rapidly. It solves all of the problems that a relational database would solve, just like MySQL or Microsoft SQL Server, but is cost-effective and has similar performance. The graphical tooling isn't as good as some of the tools provided by Microsoft or Oracle. Can be hard to figure out problems unless you know SQL very well. PostgreSQL does not allow to execute batch of statements. If you are looking for a free relational database, PostgreSQL is the way to go. I use it for transportation data collection. It performance is very impressive, but it was a bit difficult to get used to at first.
" A great database manager without license costs." is a free software, available for the most used operating systems (Windows, macOS, Linux). The graphical tool PgAdmin is easy and intuitive,i can manage, interact and manipulate different databases easily. You can use it in read-only mode, with this option we can do maintenance or recovery without completely blocking the system. It doesn't have official online support, although there is a lot of information in forums. the syntax for some complex queries is a little complicated if you don't have knowledge in SQL language. The installation and configuration of PostgreSQL is not so easy. is an excellent database management software, with multiple functionalities and great handling of large volumes of data, and is free!! High volume data management, creation of relational databases, maintenance of our clients' databases can be done without the need to block the system completely because several users can work with the database at the same time. "Use as PostgreSQL not as MySQL; get to know it the philosophy behind it first!" Awesome built in data types, JSON with indexing to then work with triggers and locks! Best of both NoSQL and SQL. The community is very active, as well as several commercial enterprise offerings. have your team take the time to read or watch an introduction to postgresql methodology, and well as a comparison against MySQL. The hour/hour and a half of time in the beginning can save hours/days of reworking to use the internal tools to scale properly. We needed a database or databases that we could effectively have json stored, indexed, but allow for locked tables. 1. Free code database manager, which is not used for licensing. 2. Easy to install and configure in any operating system. 3. Ideal for relational databases. 4. It has a large community in which you can share doubts. 5. It is stable and reliable, scalable and secure with the correct user management. 6. Can work with small and large databases. 7. 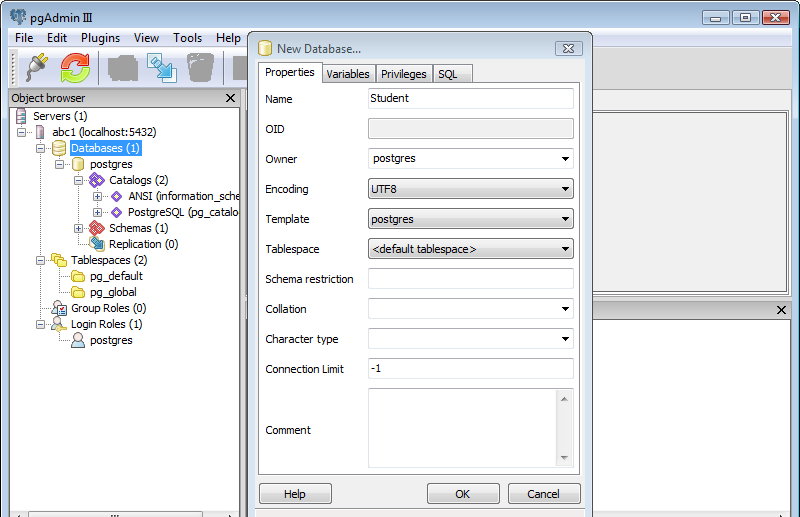 Handles the SQL language. Rich support for SQL, real booleans, JSON in the schedule with query support, rich plugin library, solid performance and reliability. Nothing, really. As a SQL RDMS PostgreSQL is quite good. I suppose that Oracle has better support for very large databases and clustering, but PostgreSQL is good enough for 1000's of concurrent connections on a 14Gbyte DB. Do. No downside for us. We've been able to deploy our ERP system, with over 500 tables and > 10Gbyte data bases, with no drama or license fees. We keep our server up to date and have not had a single failure due to a database issue in over 10 years of use over ~20 servers. "A powerful open source software"
1. Postgres is open source and free to use. 2. Postgres is Acid compliant and thus no data is lost. 3. Since PostgreSQL supports JSON field which was not supported by Mysql which we were using before, it has become very easy for us to work with JSON data sets. We can easily query JSON fields using Postgres query language. I couldn't find anything to dislike in PostgreSQL till now as it gives me all the features that were required in our web application. 1. Postgres has helped us to store and query JSON fields which was the biggest problem that we were facing with mysql. The fact it is an open source database which means its free to use. Postgre has multiple updates a month, making it ever improving to be the best database software possible. PostgreSQL's query optimizer is far superior to many others it makes retrieving information and the data you need almost instantaneous. It's takes awhile to load due to using all allocated resources from your computer. It's also causes computers to crash depending on the size of the database(mind you these are older computers/laptops using not the best of processors). It allows us to grab out clients information in a matter of seconds. It also allows us to update delete and insert new customers as the click of a mouse no query writing, saving time and giving us more time to devote to our clients. Open source, lots of data types (like arrays and queryable JSON), lots of support in the community like Docker Hub, lots of examples online to reference, many managed services available form various cloud providers. Bad free tooling - pgAdmin4 is very awkward and slow to use. Great choice as long as you don't rely too much on GUI tools to work with the database for creating tables, etc. Most administrative tasks are best performed via queries. Using it to store relational data for various microservices. It is our goto SQL database technology because it is open source and has the features we need. Bonus is that because we use Google Cloud, we can take advantage of their Cloud SQL managed service which has a PostgreSQL version. This reduces our operations costs. "Motor de base de datos "
Es el más avanzado en la actualidad y de código libre, lo que lo convierte en un sin fin de ventajas: Instalación ilimitada y gratuita para los diferentes SO, Unix, Linux y Windows de 32 y 64bits, es capaz de ajustarse al hardware (procesadores y ram disponible) para crear un rendimiento optimo. Se puede administrar las bases de datos de forma gráfica, con la herramienta pgAdmin, lo que lo convierte en una forma mas fácil e intuitiva de gestionar una BD. Es potente estable y segura. En bases de datos pequeñas es algo lenta en inserciones, mejora en este aspecto, cuanto mas grande es la base de datos. No posee un soporte oficial como tal. Tiene foros oficiales donde realizar las dudas o problemas que puedas tener. Muy recomendable para la creación de bases de datos de forma segura, consistente y optimizada. Para implementar el mantenimiento y la administración de las bases de datos de una manera segura y optimizada, lo que se traduce en accesos rápidos a consultas ya sea para los accesos a usuarios como el tratar información. "Excellent DB with great features"
This DB is open source and its really useful for any small or large scale projects.We are using this from last couple of years and it seems to be very useful product till now.Migration is really easy and SQL can be maintained in well manner.This DB helped us to overcome some performance issues and its really useful to reduce cost. Some of the query tags is not supported in postgres and query language is difficult to understand for initial beginners. This can improved and documentation is hard to follow. Strongly recommended product for large scale projects. This DB helped our team to reduce maintenance support and it is easy to deploy in cloud. It also helps our teams to manage functions , views and other code in well defined format and performance was really good. PostgreSQL is user-friendly and GUI based database which is convenient for students to use. That's the best thing I like about it. I don't have any dislikes about PostgreSQL, because it's in the best stage of performance. For free and open sourced database software, pls use PostgreSQL because it is the best I can recommend for students. I used Postgresql for my database project in which I saved all the data to be displayed on a PHP based website in PostgreSQL. I was easy to connect between the database and PHP and my project was successful.